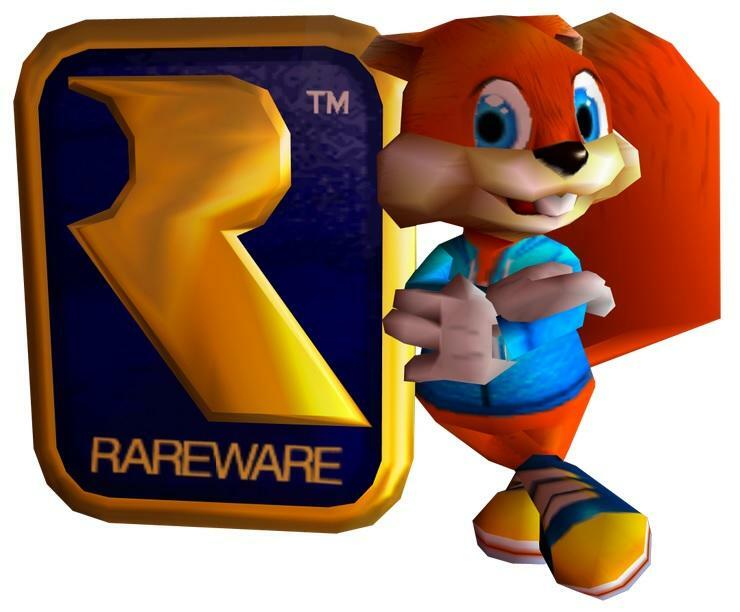 Rare has a few solid looking titles in the works at the moment, but fans still insist on shouting and chanting for a return to form like in the Nintendo 64 days. Guys, that was 20 years ago now. You'd think it might have already happened by now if it was going to, yeah? At any rate, Conker nearly had a second comeback about ten years ago, and Rare discusses the "almost" title in a new video journal. Apparently, shortly after Rare released the Xbox exclusive remake Conker: Live & Reloaded, it had plans to make an original game taking the series and its foul-mouthed squirrel back in time in Conker: Gettin' Medieval. However, the game was going to be more multiplayer oriented and not a continuation of the single player brilliance found in the Nintendo 64 classic, Conker's Bad Fur Day. Nor did it get beyond pre-production. Only a few character sketches from Concept Artist Peter Hentze remain as evidence of its inception. Rare Designer Chris Seavor also discusses his ideas for what the game was going to be. It's unknown if this would have been the game fans were hoping for or not. Conker: Live & Reloaded had decent multiplayer considering it was the early days of Xbox Live when it first launched, but that's not what first comes to mind when I think about the franchise. I think of a trash talking squirrel and the giant piece of poo he has to do battle with! Nowadays, Conker is the face of Project Spark, and Rare is allowing fans to use his resources to make their own Conker games. You know… so Rare doesn't have to.